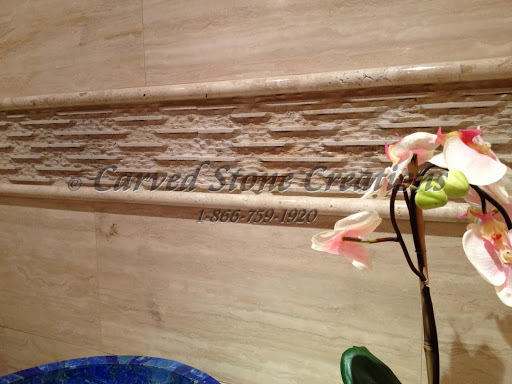 Thin stone veneer is made from natural stone that is collected and cut into a consistent thickness. It is used as a veneer to cover various surfaces and create different designs. Thin stone veneer can be made from a variety of stone types, including quartzite, slate, travertine and granite. 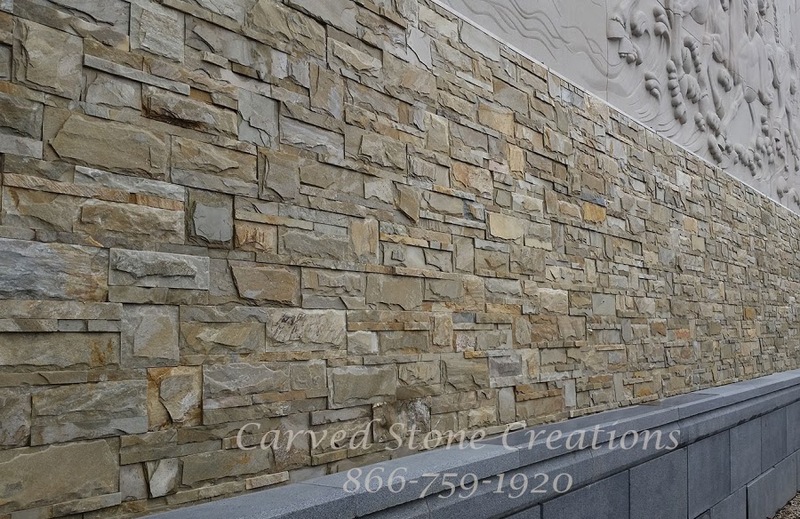 Thin stone veneer is perfect for creating a statement wall inside or outside. 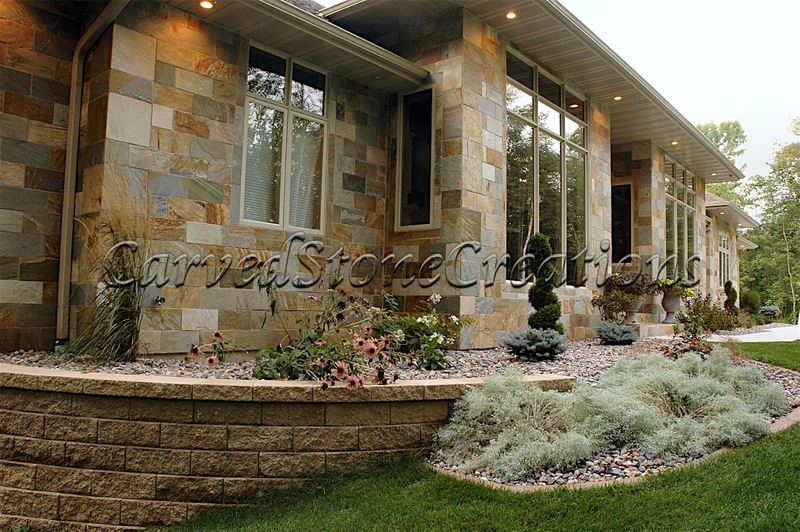 If you have an area of your home you would like to spice up, consider adding a stone wall. The rock-face tiles will give the space texture and color. Skip regular siding or brick for the exterior of your home or building, and add thin stone veneer instead. The look will make your home stand out from all the others in your neighborhood. Thin stone veneer can be used as a fireplace surround material, too. 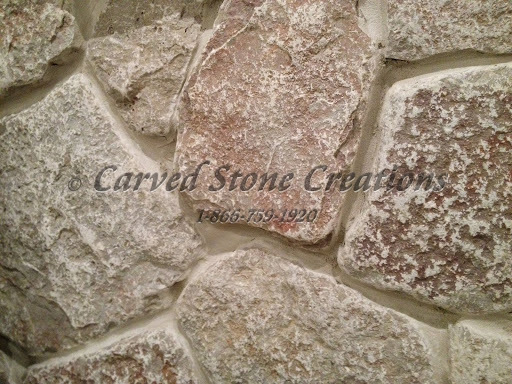 There are a variety of stone types and colors that can cover your fireplace surround to create a customized look. Thin stone veneer can be applied like tile, but it has a more natural look because of the rough finish and irregular shape. Use thin stone veneer to upgrade your bathroom or kitchen tile. The different textures and colors will add interest to your tile backsplash or shower surround. You can explore more of our thin stone veneer designs in our ideas gallery. 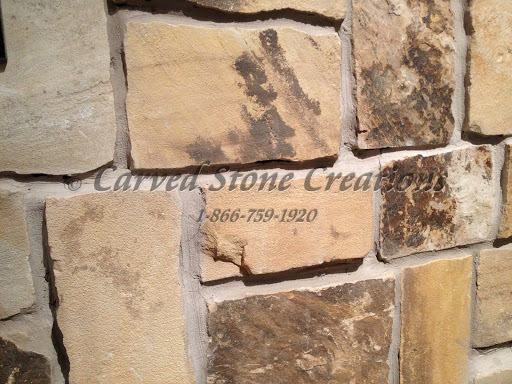 Browse our thin stone veneer selection in our online store. Are you interested in installing thin stone veneer in your home? Contact us.